The search for leaders in our political system usually starts at the top – identifying top officials in government, business, the military, nonprofit/advocacy organizations, or other major social and cultural institutions. The search for Latino leadership in American politics usually follows a similar approach. Those who hold federal or statewide elected office are especially viewed as spokespersons or representatives of Latino interests across the nation – whether they seek to fulfill these roles or not. While acknowledging the importance of elected officials at the top of the nation’s political hierarchy, a new book on populations of color in the U.S. offers a different view of leadership – one that presents a more bottom-up approach to understanding who serves communities of color in elected office. 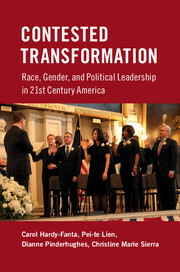 The book is Contested Transformation: Race, Gender, and Political Leadership in 21st Century America, coauthored by Carol Hardy-Fanta, Pei-te Lien, Dianne Pinderhughes, and myself and published by Cambridge University Press (2016). It’s a first-of-its-kind study of racial and ethnic minorities holding elective office in the U.S. at the beginning of the 21st century. Our focus is on Black, Latina/o, Asian American, and American Indian elected officials at the national, state, and local levels of government. We draw upon two primary sources of information – a national database of elected officials of color that we compiled for the Gender & Multicultural Leadership Project (GMCL) and a telephone survey of a national sample of these officials. We look at their personal backgrounds, campaigns for office, leadership roles, policy positions, and prospects for interracial policy coalitions. A generous grant from the Ford Foundation supported our research. We point out how demographic change in our nation is producing more diversity in the nation’s elected leadership – the most prominent, of course, being Barack Obama as our nation’s first black (biracial) president. But new faces of color are also appearing on our school boards, city councils, county commissions, and in state legislatures across the country. Women of color are driving the increasing numbers; in fact, they are getting elected at a faster rate than men of color and white non-Hispanic women. Note that the 2016 election -whose results for the presidency overshadowed other significant electoral gains – sent the first Latina to the U.S. Senate: Catherine Cortez Masto (D-NV). She joins two other women of color newly elected to the Senate – a multiracial woman, Kamala Harris (D-CA) of Black and Asian Indian descent and Tammy Duckworth (D-IL), of Thai origin, who moved from the U.S. House of Representatives to the upper chamber in Congress. Yet, patterns of underrepresentation persist for all racial minority groups at all levels of government. Our book title reminds the reader that creating greater access to the U.S. political system has historically been a contested project, with people of color fighting disenfranchisement, exclusion, and marginalization in American politics. Such fights continue – a case in point is a conservative U.S. Supreme Court dismantling much of the effectiveness of the Voting Rights Act, whose protections vaulted people of color to elected office. Hence, demographic change may be transforming our nation’s political landscape, but the transformative results remain open to question and challenge. Nearly half (47.9%) of the elected officials of color in the database we compiled (over 10,000 names) serve in municipal government; 32.2% serve on school boards. From 1990 to 2012, Latinas, in particular, significantly increased their numbers on city councils and school boards. Half (50%) of the women of color in municipal government represent cities or towns with populations under 5,000. The corresponding percentage for men of color is 44%. Only 7% of those elected officials of color in municipal office come from big cities of 200,000 or more. “Public interest-focused” reasons such as issue passion and community connectedness greatly outweigh personal ambition – for both women and men – as underlying motivations of why they first ran for public office. Elected officials of color cite education and employment and wages as top concerns for their constituents. There is minimal evidence that political parties are recruiting people of color to run for office; however, party affiliation does play a significant role in how well elected officials of color “match” their constituents and represent their interests. A larger proportion of men than women of color come from disadvantaged family backgrounds; but they surpass their women counterparts in their current household incomes. Women of color are high achievers, with education levels higher than those of their male counterparts and women in general. They also draw upon political resources and networks to help them as they seek elective office. 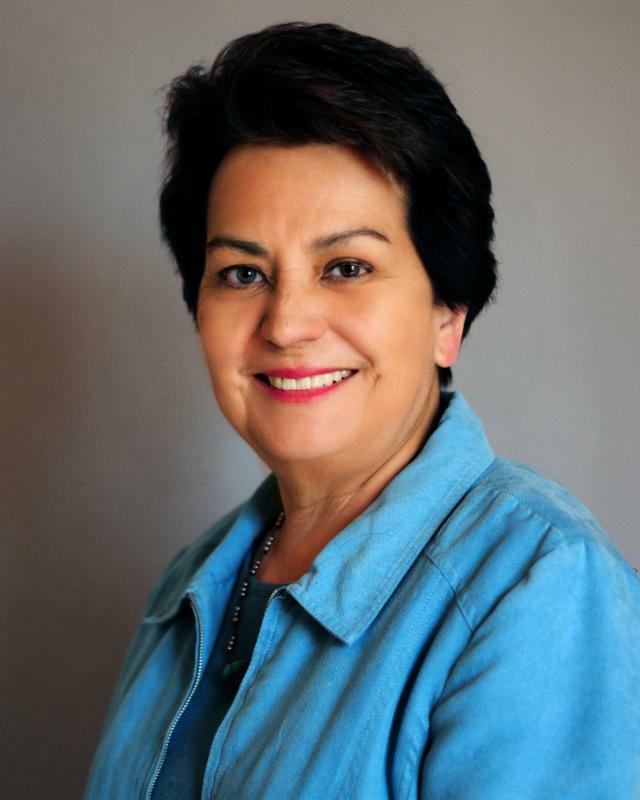 For Latinas, involvement in PTAs is especially important in building their political capital. Women of color are remarkably cohesive on numerous policy issues, sharing similar positions in support of minority rights, immigrant incorporation, women’s welfare, reproductive rights, and more. Black men appear to be most closely aligned with women of color; hence, coalitions among these groups of elected officials might be more easily formed. On leadership style, both women and men of color say that women work harder at governing, are better at achieving consensus, are more persuasive than men, and avoid the limelight to get the job done. Contested Transformation reveals that people of color are creating political change in this country. They are especially visible as elected officials at the lower rungs of government, where arguably policies that directly affect communities of color are being made. At a time when more governmental power and authority are being channeled to local and state officials, having elected officials of color in those arenas becomes indispensable to protecting minority rights and furthering an agenda that flows from the bottom up. Christine Sierra is Professor Emerita in Political Science at the University of New Mexico. An expert in American politics, she frequently appears in national and local media. She can be reached at csierra@unm.edu.